Oh how I had longed for a taste of Grumman 78 since I first caught a glimpse of the repurposed milk truck many, many moons ago... It's the closest we'll get yet to real street food here, and we all know how awesome street food is. Earlier this week, the Journal Métro touched on why Montreal city street food hasn't seen the light of day for 60 years, like they currently do in other North American metropolises -- even its rival down the 401! Though focused on the Grumman 78 enterprise, the article raised a few issues that have previously fallen to deaf ears at Montreal's City Hall. 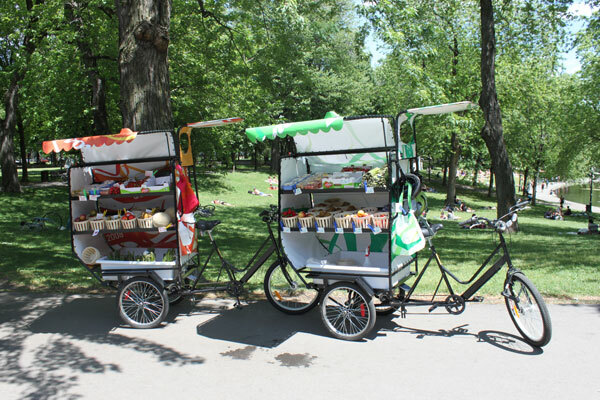 Citing hygiene and "aesthetics" as prime deterrents of allowing street food (not to mention impinging on restaurant businesses, as this city has one of the highest ratios of restaurants per resident), they'll only maybe-perhaps-possibly consider letting mobile food dispensaries in public parks as a pilot project. So far, pop-up food stands are only allowed at city-sanctioned events (i.e. Osheaga, Jazz Fest, holiday celebrations, the list goes on). Consider the growing number of Montreal "street" food ventures like the Fruixi (bike-hitched fresh fruits and vegetables), or the multipurpose Müvbox, one would believe that the city would seize the opportunity to cash in on "more of the new", rather than play the stuffed shirt card and go the way of the pinball machine1. 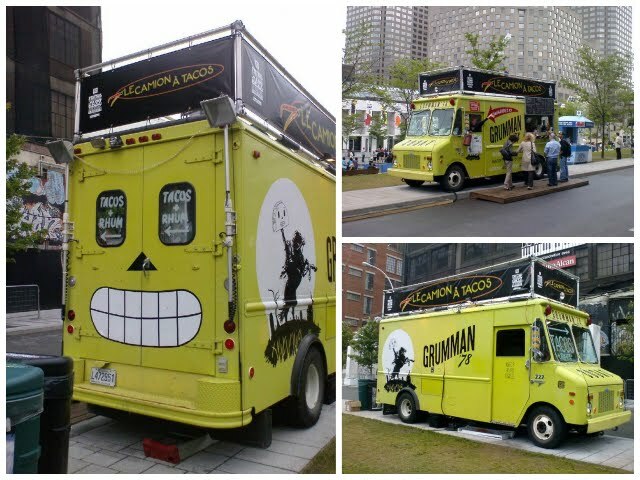 Spacing Montreal's discussion presents some fine global exhibits of street food abroad. There's street food in some hygienically questionable places in China, India (BOTH STILL HAVE THE BUBONIC PLAGUE!) and even hyper-clean cities like Singapore — there's no real reason for the absence of this from our urban landscape! Optimistically, it might be a matter of time before City Hall bows to public demand for more and better food available at street level, unless it really wants to end up as the last duckling in the line that gets squashed under the tires of the fast-moving truck that is our ever-important food culture. I digress. And this entry is already way too long. 1 This example is not unlike how former Montreal mayor Jean Drapeau successfully crusaded for the ban of pinball machines in 1956 in the city. Soon after after Chicago and New York City say that "pinball is a-ok" did Montreal finally lift the ridiculous by-law in 1977. I love street food. Everywhere I go, the first thing I explore is the street food. Oh, I love that yellow truck, so cool! Me too! Where there is street food, there is me!